"Euro Jackpot" yra paprasta žaisti. Pasirenkame 5 numerius iš 50 ir 2 iš 10, o paskui daugiau nei 100 milijonų eurų gali būti tavo vienas bilietas, nes vienas iš populiariausių Euro lotto online. It’s easy to play EuroJackpot online! To play all you have to do is select 5 regular numbers from a total of 50 and 2 EuroJackpot bonus balls from a total of 10. The top prize of the EuroJackpot is for 5 matched regular numbers and 2 bonus balls. 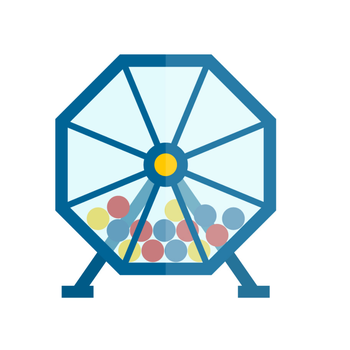 You can choose your EuroJackpot numbers yourself or you can select your numbers randomly with our quick pick lucky-dip option. Match 5 regular and 2 bonus balls to become a EuroJackpot multi-millionaire overnight! The EuroJackpot is one of the biggest Lottery draws in Europe and all around the world. With a minimum jackpot guaranteed at €10,000,000 and record jackpot of €90,000,000 it's always going to be a life changing win if you jackpot with the EuroJackpot. Find out more about the EuroJackpot lottery including the odds, prize breakdown & history at our EuroJackpot lottery info page. Check out recent EuroJackpot results at our EuroJackpot results page, here you can see the history of results and more details of each draw. Play today to win the EuroJackpot jackpot! EuroJackpot vs. Euro Millions: What's the Difference? EuroJackpot and EuroMillions are two multi-state lotteries from Europe & two of the biggest, well established lotteries in not just Europe, but also the world covering an incredible 25 countries between them. 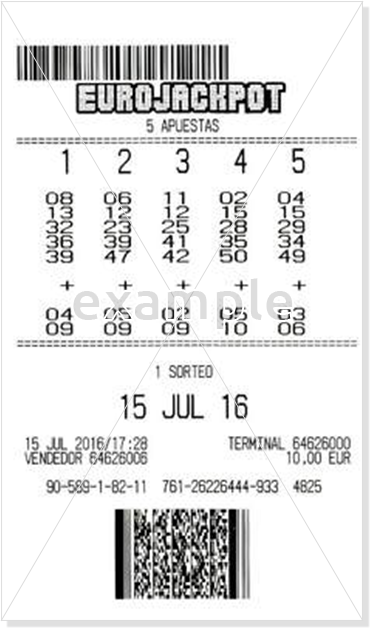 The EuroJackpot is a newer version of the EuroMillions, with Spain being the only country that participates in both. Both draws require you to match 5 regular numbers and 2 bonus balls in order to jackpot, the difference between the two is that the EuroMillions usually has higher jackpots, although not always, and the odds for winning the EuroJackpot are almost twice as good as winning the EuroMillions Jackpot. EuroMillions is the more established lottery and celebrated its 10th birthday in 2014, while the EuroJackpot is the newer version, celebrating its 2nd anniversary a month later in March 2014. Any prize will be transferred directly into your Lottosend account after the EuroJackpot results have been published. 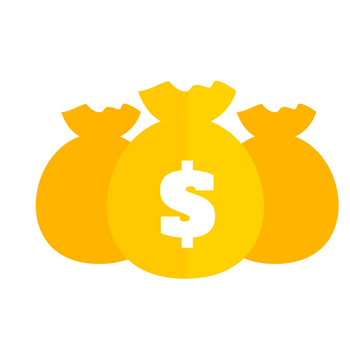 Any winnings you make with a ticket purchased through Lottosend and you will be contacted directly by one of our account managers to organize how best to claim your winnings. Are you ready to win millions with one lucky ticket? Then get your EuroJackpot lottery ticket today and see just how easy it is to play! EuroJackpot has some of the biggest jackpots in the world, it’s easy to see why this is such a popular online lottery to play. EuroJackpot also has a minimum jackpot of $10 million meaning just one EuroJackpot jackpot win will change your life forever – no matter what the jackpot amount is. If you jackpot the EuroJackpot after a few weeks of no winners then we are talking about multiple-life changing sums! It’s easy to play EuroJackpot online! To play all you have to do is select 5 regular numbers from a total of 50 and 2 EuroJackpot bonus balls from a total of 10. The top prize of the EuroJackpot is for 5 matched regular numbers and 2 bonus balls. 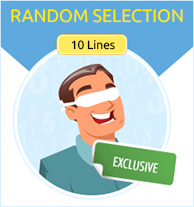 You can choose your EuroJackpot numbers yourself or you can select your numbers randomly with our quick pick lucky-dip option. Match 5 regular and 2 bonus balls to become a EuroJackpot multi-millionaire overnight! The EuroJackpot is one of the biggest Lottery draws in Europe and all around the world. With a minimum jackpot guaranteed at €10,000,000 and record jackpot of €90,000,000 it's always going to be a life changing win if you jackpot with the EuroJackpot Find out more about the EuroJackpot lottery including the odds, prize breakdown & history at our EuroJackpot lottery info page. Check out recent EuroJackpot results at our EuroJackpot results page, here you can see the history of results and more details of each draw. Play today to win the EuroJackpot jackpot! EuroJackpot and EuroMillions are two multi-state lotteries from Europe & two of the biggest, well established lotteries in not just Europe, but also the world covering an incredible 25 countries between them. The EuroJackpot is a newer version of the EuroMillions, with Spain being the only country that participates in both. Both draws require you to match 5 regular numbers and 2 bonus balls in order to jackpot, the difference between the two is that the EuroMillions usually has higher jackpots, although not always, and the odds for winning the EuroJackpot are almost twice as good as winning the EuroMillions Jackpot. EuroMillions is the more established lottery and celebrated its 10th birthday in 2014, while the EuroJackpot is the newer version, celebrating its 2nd anniversary a month later in March 2014. Anytime your numbers match and you win a prize you will be sent an email notification automatically to let you know you've won! Any prize up to $600 will be transferred directly into your account after the EuroJackpot results have been published. Any winnings higher than this & you will be contacted directly from one of our account managers to organize how best to claim your winnings. Jackpot wins may need to be collected in the country where the ticket was purchased. In this event, we will notify you and advise how best to claim your jackpot winnings! Are you ready to win millions with one lucky ticket? Then get your EuroJackpot lottery ticket today and see just how easy it is to play! EuroJackpot has some of the biggest jackpots in the world, it’s easy to see why this is such a popular online lottery to play. EuroJackpot also has a minimum jackpot of $10 million meaning just one EuroJackpot jackpot win will change your life forever – no matter what the jackpot amount is. If you jackpot the EuroJackpot after a few weeks of no winners then we are talking about multiple-life changing sums!